Scrolling through your Facebook News Feed can sometimes feel like it’s hit or miss. Users have often complained that clicking a link on the site can sometimes lead them to websites that have little content and are covered with low-brow, and sometimes malicious, ads. But a new Facebook update seeks to put an end to all that. The company announced in a post today that it will be changing its algorithm so that low-quality websites are no longer able to place ads on the platform. “We hear from our community that they’re disappointed when they click on a link that leads to a web page containing little substantive content and that is covered in disruptive, shocking or malicious ads. People expect their experience after clicking on a post to be straightforward. . . Starting today, we’re rolling out an update so people see fewer posts and ads in News Feed that link to these low-quality web page experiences,” the company said. 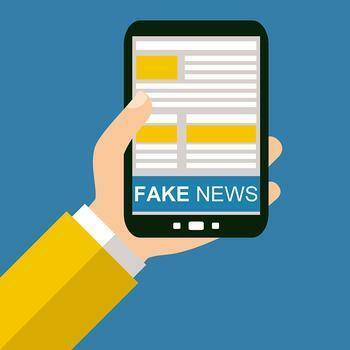 The change is the latest effort in a campaign against what many have come to call “fake news” – articles and advertisements that contain false information meant to mislead readers. Facebook officials say the company has reviewed hundreds of thousands of web pages that have been linked to on its platform and identified those that it deems low quality. From there the company says it used its tech resources to change how they will show up in users’ feeds. “We. . . used artificial intelligence to understand whether new web pages shared on Facebook have similar characteristics [to low-quality sites]. So if we determine a post might link to these types of low-quality web pages, it may show up lower in people’s feeds and may not be eligible to be an ad. This way people can see fewer misleading posts and more informative posts,” the company said. Reputable news agencies and professional publishers may see the changes as a positive since it’s a step in the right direction towards restoring users’ confidence in what they read on the site. Facebook says that publishers who pass its litmus test may even see an increase in traffic resulting from the policy change. “These changes will roll out gradually over the coming months. Publishers that do not have the type of low-quality landing page experience referenced may see a small increase in traffic, while publishers who do should see a decline in traffic. This update is one of many signals we use to rank News Feed, so impact will vary by publisher, and Pages should continue posting stories their audiences will like,” Facebook officials said.